Alexander Carmichael is the Chief Operating Officer of Promontory Financial Group Australasia LLP, where he helps banks strengthen their risk management and enhance their anti-money-laundering and sanctions compliance and reporting programs. With a background in quantitative risk measurement and information management, Alex specialises in the effective communication of risk information across large and complex organisations. He also helps clients optimise benefits and savings from the investments made in regulatory-compliance programs and technology. Prior to joining Promontory, Alex spent seven years with RiskMetrics Group Inc., a risk management research, analytics and data firm. 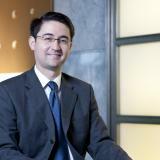 In New York and Singapore, he served in a range of positions, including Global Head of Commercial Banking with responsibility for the development of products and services for RiskMetrics’ commercial banking clients. Alex also was Director of Risk Solutions, Asia Pacific, where he served as the head of the regional team, responsible for risk advisory and client services, training, project management and technology. Alex received a B.A. in Economics from Princeton University.